Bruce Kidd is a co-founder of Concerts for a Cause. He is currently a Regional Sales Director for Mesirow Financial. A lifelong Indianapolis area resident, he has served on several Not For Profit Boards in his 30 year career. He is married to Chris Cooper Kidd and they have three adult children, two grandkids, and four large dogs. He is an avid music and sports fan and a Purdue graduate. Steve is a co-founder of Concerts for a Cause. He is currently the President of Sysco in Indianapolis. Born and raised in Virginia, this James Madison University grad brought his wife and 3 kids through 5 states, making a final stop in Indiana in 2010. Steve has a passion for music that he shares with a local group of musicians, Just Push Play Band. Michelle is the Marketing Manager at Sysco in Indianapolis. She has over 12 years of experience working in the food and beverage industry, and currently serves as the Vice Chair on the Central Indiana board for March of Dimes. Megan is a Purdue University grad who currently works as a Digital Engagement Strategist at CVR (Caldwell VanRiper) in Indianapolis. While she has passions for writing and taking too many pictures, she also enjoys spending time with family, listening to live music and cheering on the Boilermakers. Ted is a graduate of Hanover College and has been in the financial services industry for more than 30 years. 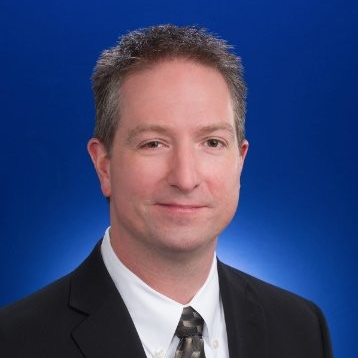 He is currently a Senior Vice President and Branch Manager with Stifel Nicolaus in Indianapolis. His hobbies include golf, live music and following his beloved Indianapolis Colts. Ted is a reading tutor with the United Way readUP program and is a member of Hope City Church in Carmel. He and his wife Cheryl have four children and reside in Carmel. Jillian is a fundraiser with a heart for people and their personal stories. She brings more than 17 years of not-for-profit management experience to the CFAC board as she has worked for The American Heart Association, Community Health Network Foundation and the Indy Chamber. She's even owned her own manufacturing company for a period of time rounding out her business experience. She currently serves as the Executive Director of Indiana Canine Assistant Network, Inc; and helps people on both ends of the leash transform their lives! Indiana University graduate and member of St. Mary Catholic Church, Jeff currently works as an information security consultant at Eli Lilly and Company. He lives in downtown Indianapolis with his wife Jeni where they can be frequently found at Indiana Repertory Theatre and Indianapolis Symphony performances, Indiana Pacers and Indiana Fever games, or seeing live music somewhere. Kevin graduated from Purdue University and works at Lessonly as their Manager of Solution Consulting. Outside of work he spends his time cooking, reading, and learning about Indy's ever-growing tech scene.